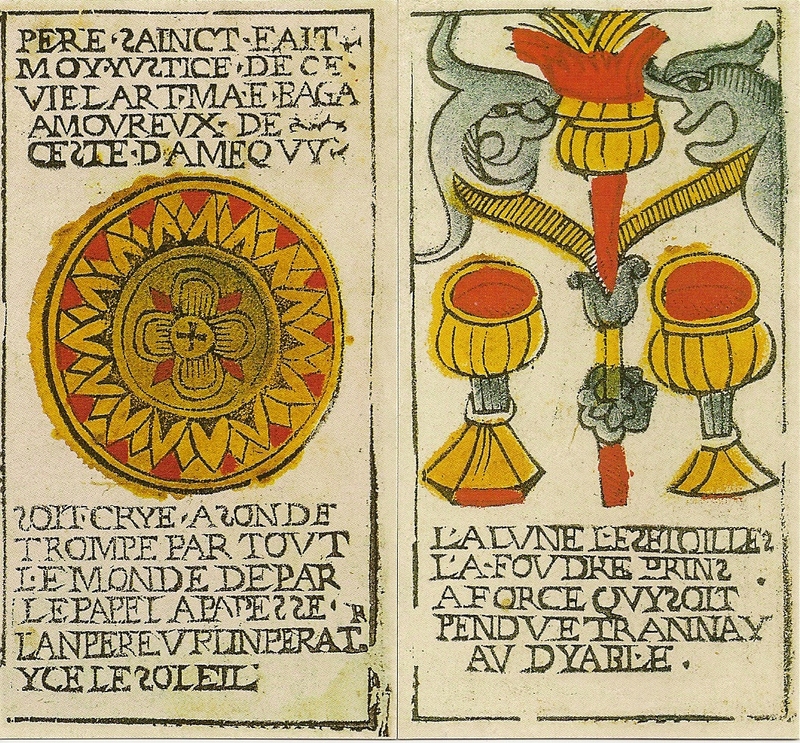 The deck was made around 1650 in Paris by cardmaker Jacques Viéville. 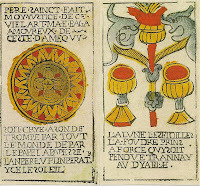 Many cards do match the cards in the Tarot of Marseilles tradition but the Tarot of Jacques Viéville seems to also be related to the "Belgian Tarot", the "Tarocco Bolognese", and The "Ferrara" Tarots. The major arcana are not named, but the names can be guessed from two cards, the Ace of denier and the Two of cups. 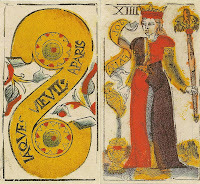 Some of the trumps (Tower, Sun, Devil, Hanged Man, Star, Moon) have greatly different imagery from the Tarot de Marseille and contrary to the Viéville tarot, the Marseille tarot traditionally represents the VII arcane as the Chariot and the VIII arcane as the Justice. This new edition is as close as possible to the original conserved in the Bibliothèque Nationale de France. 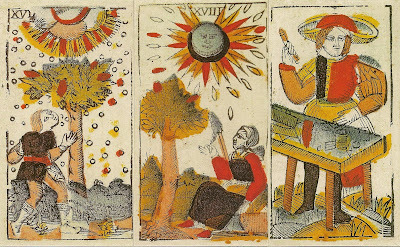 The dimensions of the cards are as in the original (69 x 126 mm). 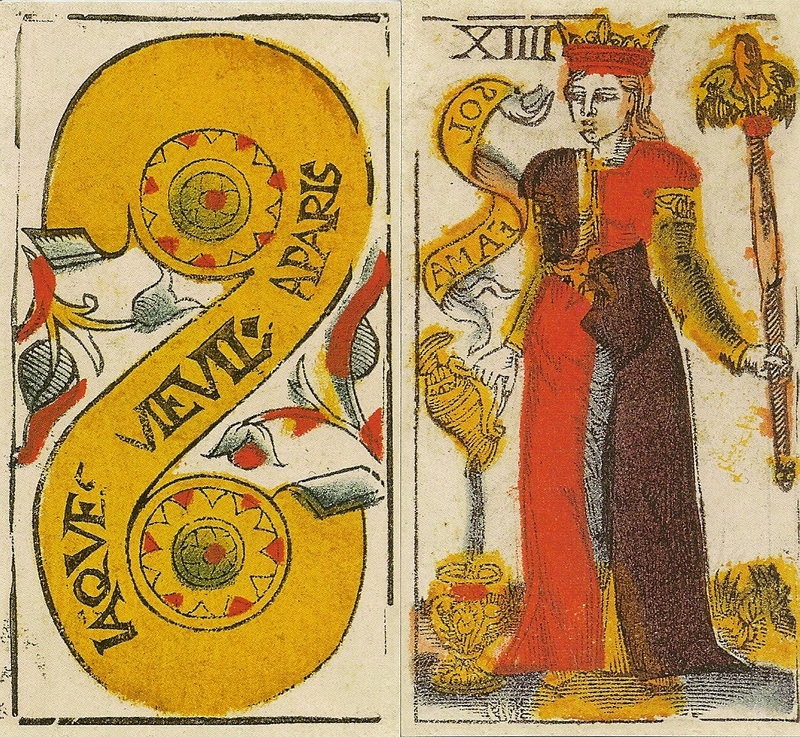 The borders of the cards which in some cases appear twice and traces of a watermark which appear on the white-ivory background of the card are as in the original. The stamp of the Bibliothèque Royale, which had been added by the Library to avoid theft, has been removed electronically.